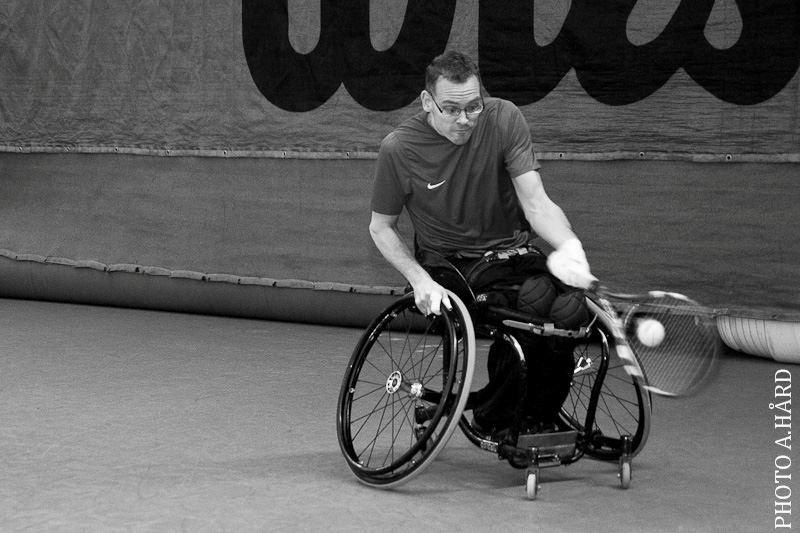 After finally being eligible for quad player status (the one of the two disability groups within wheelchair tennis with ”physically less agile” players), during the Doubles Masters in Amsterdam, I now attended my second international wheelchair tennis tournament. The story of my protested non-Quad classification in Belgium, the subsequent formal appeal, and the, to some extent surpricingly self-evident re-classicification, is a long story in itself. It’s sufficient to say that a few months of missed tournaments was worth it. I am now officially a ”Quad” player until further notice. The indoor venue in Prague is quite something extra, as the hotel and the tennis courts are within one and the same complex. Good, if the weather is all but nice. In the singles consolation tournament (first round losers), I had a really good theoretical shot at winning my first international game against Patrick Sappino from France. He seemed very slow, having trouble reaching for balls not aimed directly at him. He had a cunning twisted serve, but it didn’t seem impossible to tame. I played quite well in the first set, focusing on secure and high serves (which he didn’t like), and trying to place the balls far at the back left and right alternatively. As I learned to handle most of his serves, the future looked promising, although I struggled a bit with keeping my strokes as relaxed and thorough as I had hoped for. A very nice memory of this visit was the Charles Bridge (Karolus Most) at night, and a visit to a very nice local pub beneath stone arches of an old building. The Old Town in Prague is really awesome, in the true sense of the word. The first international wheelchair tournament after receiving a temporary Quad classification (in one of the two classes in wheelchair tennis) sadly started with me being drawn against my friend, fellow Swede and team mate Marcus in the qualifying round. 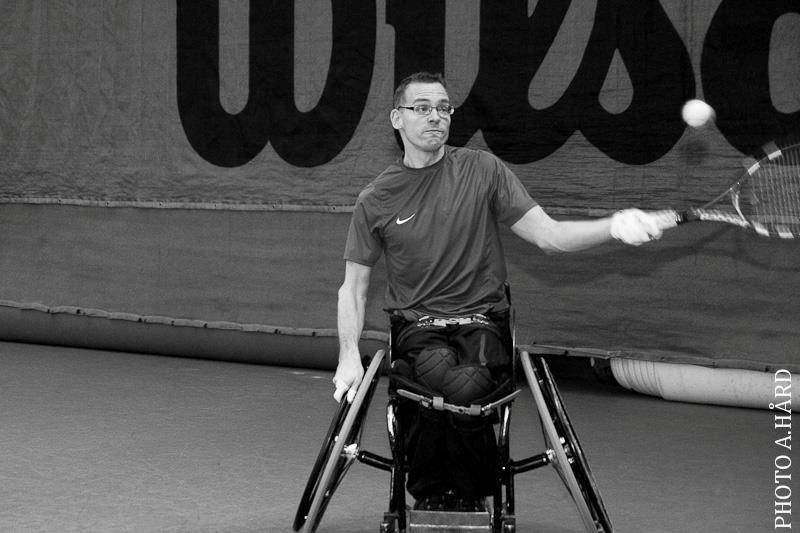 The matches aside, it was a week well spent in the outskirts of Geneva, as this tournament is considered one of the best on the wheelchair tennis circuit (awarded The best in 2010). I met a lot of new friends from various different countries, especially the many quad players from France. Their acqaintance could turn out both fun and useful when tournament visits are planned in the future.